Loading Capacity: : 250-500 Kg/Sq. Mt. Lightweight laminate shelves, light shelves system called S column, S column structure, configuration of steel plate, random combinations, less investment, a wide range of uses..
We are the Supplier of Two Tier Mezzanine Floor. 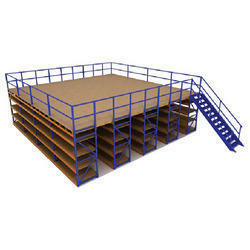 Our product range also comprises of Storage Racking System, Slotted Angle Shelving and Slotted Angle Shelving & Rack. 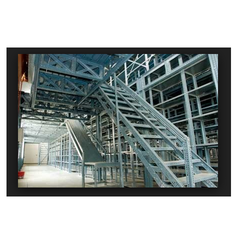 We have gained a remarkable position in the market that is involved in offering Industrial Mezzanine Floor. We are a renowned name in the industry to manufacture and supply our precious patrons a qualitative range of Mezzanine Storage Rack. Features: Completely bolted system without any welding.